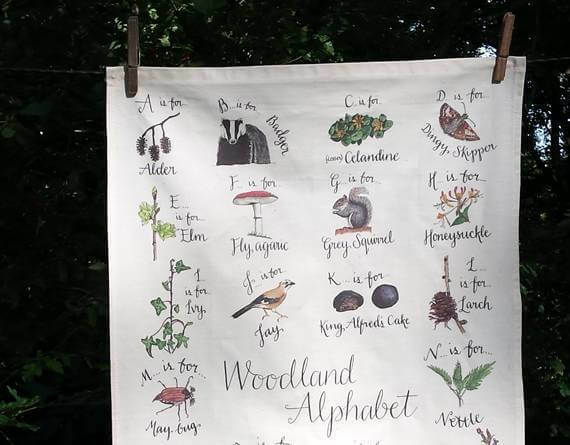 A couple of years ago, Alice set herself a personal project to work through the alphabet thinking about woodlands and this beautiful print is the result. I love Alice’s nature illustrations and this beautiful Woodland Alphabet tea towel features classic British Woodland Flora and Fauna, hand drawn in pen and watercolour. 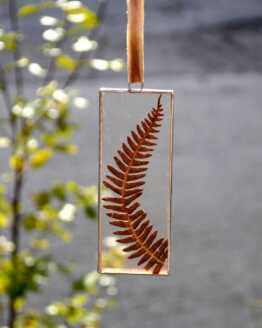 There is a mixture of trees, flowers, birds, animals, fungi and insects and more. Each item is labelled with Alice’s hand lettering using a dip pen. 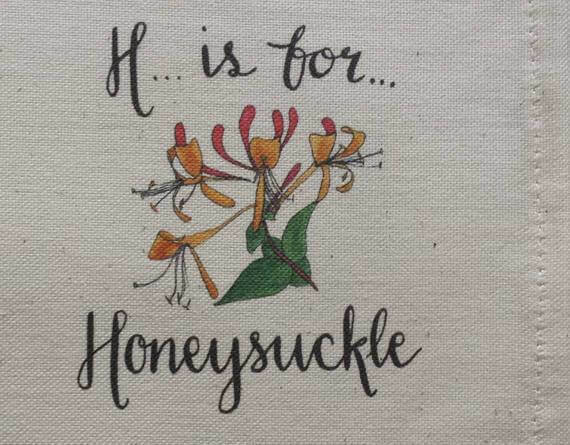 This print has then been turned into a great tea towel to be used at home or out and about – it’s the perfect tea towel to take camping! 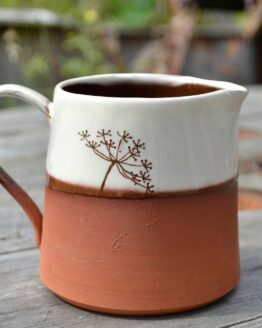 Made from organic, unbleached cotton. Dimensions: approx 48 x 76 cm / 19 x 29 inches. Care: Machine wash at 30 degrees centigrade. 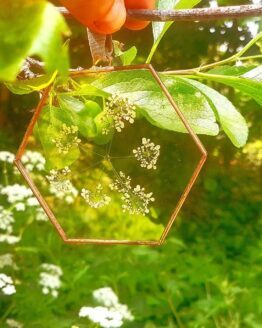 Alice is a brilliant nature-inspired illustrator based in Shrewsbury and she also runs a forest school. She is normally to be found outside with a sketchbook in her hand. She keeps a ‘drawing a day’ book which I love the idea of. It’s a sketchbook in which she does a sketches something that she sees every day and which has become a visual diary. I feel like Alice is definitely a kindred spirit. She loves being outside, specifically in woods and she loves sketching the seasons, taking note of the different flora and fauna as the year goes by. 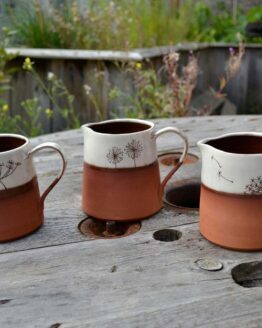 From her initial drawings, she has created a range of beautiful woodland and nature designs on mugs, tea towels, cards, temporary tattoos and much more.